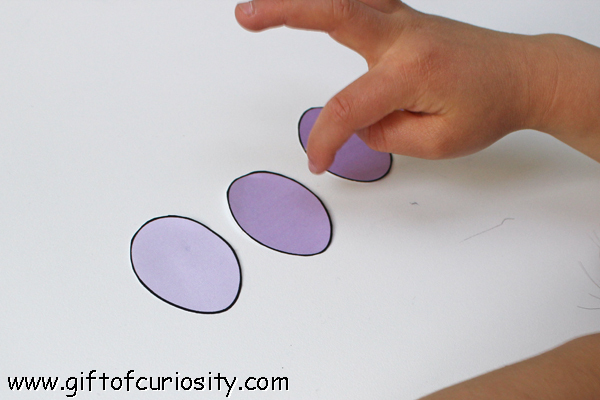 Note: This and other Easter ideas can be found on my Easter activities for kids page. 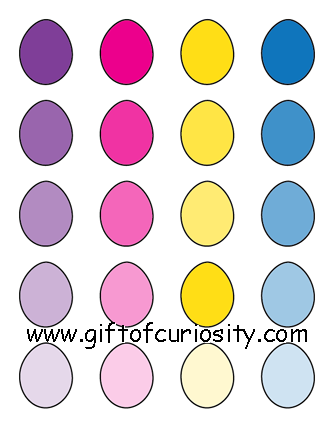 For this activity I decided to use the purple Easter eggs, since I knew XGirl would like that color. 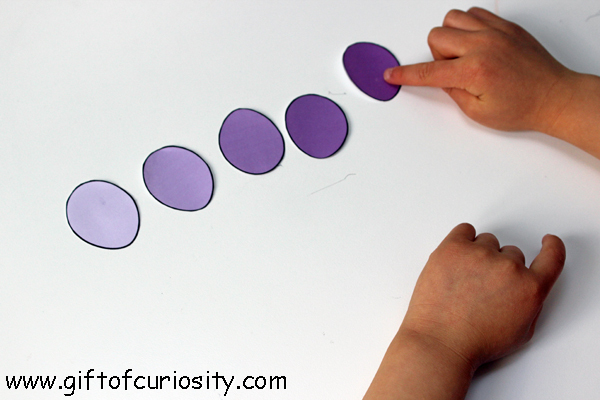 I gave her all five purple eggs and asked her to put them in order from lightest to darkest. XGirl actually struggles with this a bit. If I give her just two or three items, she can easily tell me which is lightest and which is darkest. But when I give her all five at once, she gets a bit confused and has trouble ordering them. Nonetheless, with some support, she was able to do the task. But it is something we will need to continue working on. 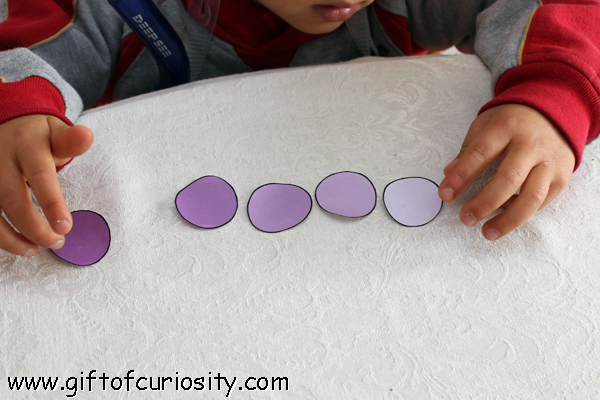 I gave this task to QBoy as well, mainly because he wanted to do the same activity as his sister. 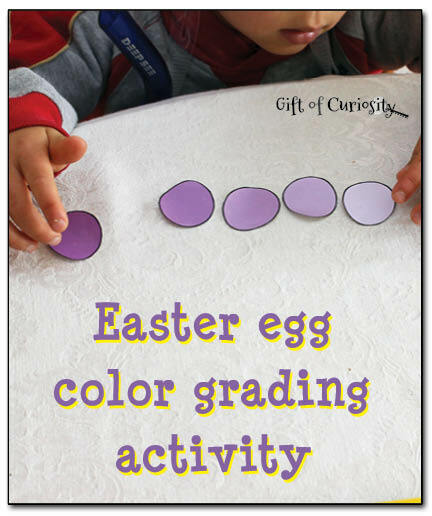 He had no trouble at all with this Easter egg color grading activity, easily putting the eggs in order from lightest to darkest. 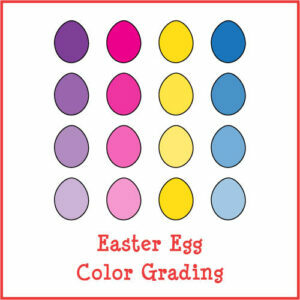 Want a copy of my Easter Egg Color Grading printable? We all learn something new every day, don’t we? 🙂 Glad you can use the printable with your LO!